Satellites save lives, and the dramatic proof of this fact has been released by the government agency, NOAA. The NOAA satellite receives the distress signals from their emergency beacon, enabling the U.S. Air Force and Coast Guard to rescue those in need such. An example is last July, when a sailboat with two people onboard caught on fire several hundred miles off the coast of Jacksonville, Florida. 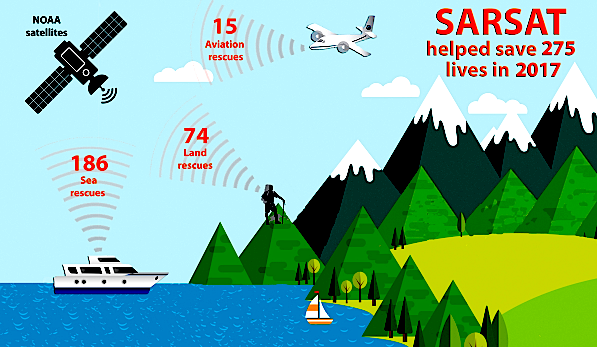 And the rescue totals add up ... since the program’s inception in 1982, COSPAS-SARSAT has been credited with supporting more than 41,000 rescues worldwide, including more than 8,300 in the United States and its surrounding waters. The numbers are impressive. The folks in the sailboat on fire were just two of 275 people rescued within the United States and its surrounding waters with the help of NOAA satellites last year. Of the 275 rescues, 186 were in water, 15 were from aviation incidents and 74 were on land using personal locator beacons, or PLBs. NOAA satellites are part of the international Search and Rescue Satellite Aided Tracking System, or COSPAS-SARSAT, which uses a network of U.S. and international spacecraft to detect and locate distress signals quickly from emergency beacons aboard aircraft, boats and from handheld PLBs. Around the world and around the clock NOAA stands watch and operates the Search And Rescue Satellite Aided Tracking (SARSAT) System to detect and locate mariners, aviators, and recreational enthusiasts in distress almost anywhere in the world at anytime and in almost any condition. Secretary of Commerce Wilbur Ross that although NOAA satellites are more known for their forecasting and observing capabilities, they also play a vital role assisting in the rescue of those in distress at sea or on land. Because of SARSAT and close cooperation between NOAA, the U.S. Coast Guard, and the U.S. Air Force, hundreds of lives have been saved. When a NOAA satellite pinpoints the location of a distress signal, the information is relayed to the SARSAT Mission Control Center at NOAA’s Satellite Operations Facility in Suitland, Maryland. From there, the information is quickly sent to Rescue Coordination Centers, operated by either the U.S. Air Force for land rescues, or the U.S. Coast Guard for water rescues. 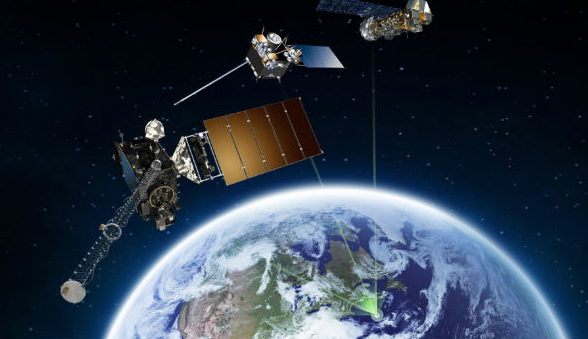 RDML Tim Gallaudet, Ph.D., USN Ret., Assistant Secretary of Commerce for Oceans and Atmosphere and Acting Under Secretary of Commerce for Oceans and Atmosphere said that NOAA satellites aren’t just for accurate weather forecasts. They play a direct role in saving lives. In a real sense, SARSAT can mean the difference between life and death. A pilot who had crashed near Bendigo Airport in Tower City, Pennsylvania, while attempting to land. Responding to the SARSAT alert, the Air Force Rescue Coordination Center and the airport manager contacted local first responders, who took the pilot to a local hospital. NOAA satellites picked up a distress signal from a PLB near Greeley Point, Wyoming, when a hiker experienced an allergic reaction. The Air Force Rescue Coordination Center contacted the Sublette County Sheriff's Department, which used a helicopter to rescue the hiker, who had gone into shock. Beacon owners are required to register their devices with NOAA online. That registration information often helps provide better and faster assistance to people in distress. 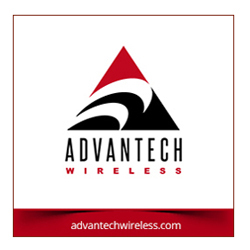 It can provide information about the location of the emergency, how many people need assistance, what type of help may be needed and ways to contact the owner. At the end of 2017, NOAA’s database contained more than 560,566 registrations.